This book has been written to help candidates sitting their professional examination in anaesthesia in order that they may have at their disposal the detailed anatomical knowledge necessary for the day to day practice of anaesthesia. 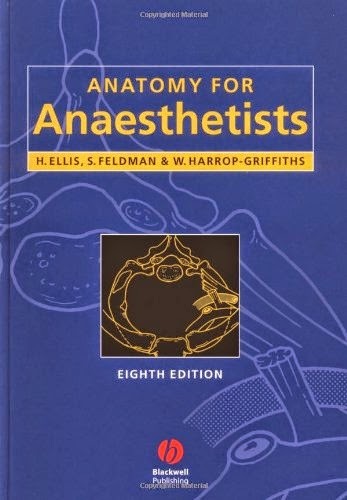 Unlike a textbook of anatomy, which must cover all parts of the body with equally exhaustive thoroughness, this book concentrates particularly on areas of special relevance to anaesthesia and points out features of practical importance to anaesthetic technique. The text is divided into nine sections; the respiratory pathway, the heart, the vertebral canal, the peripheral nerves; The Autonomic Nervous System; The Cranial Nerves; The Orbit and its contents; The Anatomy of Pain and Zones of Anaesthetic Interest. The eighth edition has fully expanded and updated text; and includes new and improved illustrations.